Well, folks, we’re only just recovering from the whirlwind of the triathlon at Hyde Park last weekend. It was a fantastic event (and we were even blessed with pretty good weather). Thanks to everyone that came down to our stand to say hello. 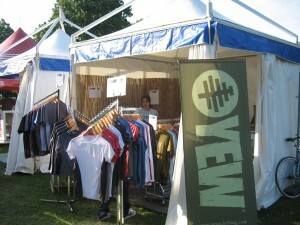 It was great to get so much positive feedback on our clothes and our fabrics. Kresse really liked it when women tried on the Local Warming fleece jacket and realised how soft it was – as well as flattering. 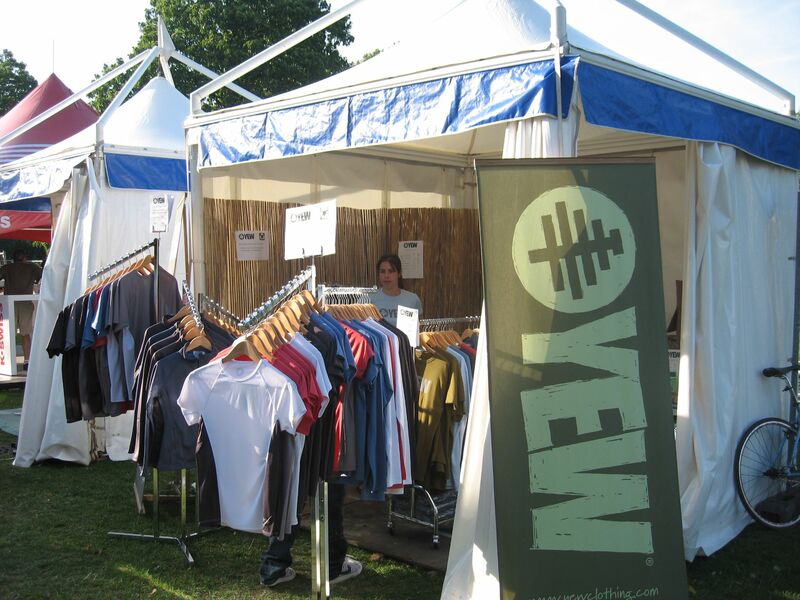 We’re definitely going to be out on the road to show people the clothes now – it makes all the difference when people touch and feel the farbics and realise that our recycled materials are much better than they imagine. We had loads of great people taking an interest in us. Our favourite visitor was the Head of Sustainability at London 2012. Hopefully I didn’t say anything too silly to him before I found out who he was! I was also pretty stoked to meet Iwan Thomas, 400m GB record holder (and Masterchef finalist). He was a pretty nice bloke and super friendly. I also realised that it helps to have long legs to run the 400m – he seemed to be about twice my height! He commented that 400m is a lot harder than most people realise, and that lots of his friends can’t run a lap of the track in under a minute. Can you? You should go try it.